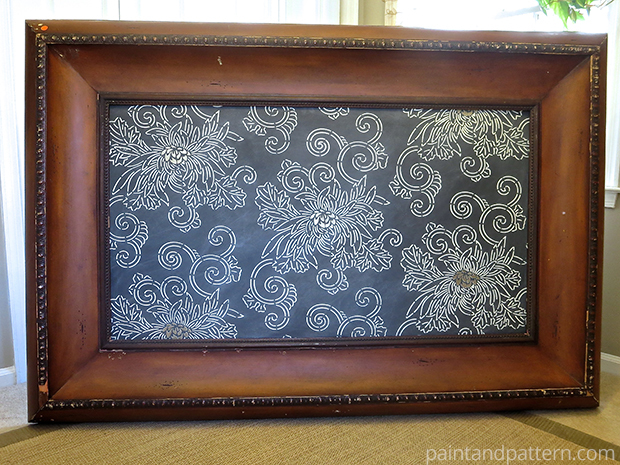 For Part One of our Japan-inspired art and Chalk Paint frame project we stenciled a piece of hardboard cut to fit the frame using the Royal Design Studio Chrysanthemum Allover Japanese stencil. 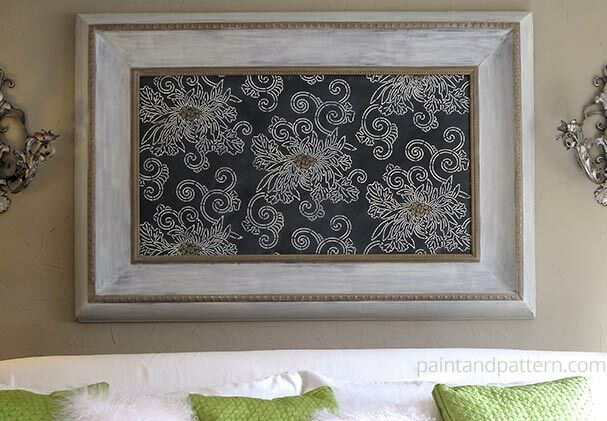 Though the art itself is looking smashing, the frame was begging for some Chalk Paint® by Annie Sloan and some Royal Design Studio Stencil Creme “bling”. 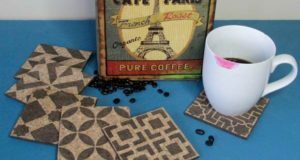 Together, these will soften it up and enhance the overall look of the frame as well as the décor of the living room where it will hang. The room in my home that this project was meant for is very simple and symmetric with white in the slipcovers, mirrors and old columns. There was no need to get complicated! 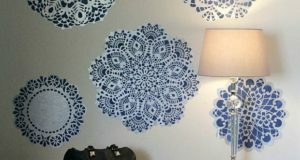 I wanted to keep with the look of the room, yet add a bit of graphic drama that was soft around the edges. 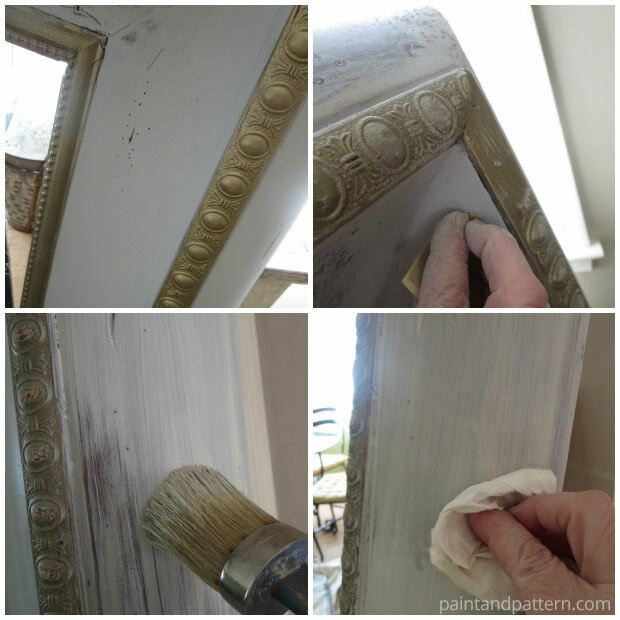 To get the soft look I was seeking with the frame, I simply painted one coat of Chalk Paint® in Paris Gray over the nicely distressed wood using a good furniture painting brush, and let it dry. I then used Painter’s Tape to tape off the raised design accents. Finally, I painted on the Antique Gold Stencil Creme with a 1” stencil brush. After letting it dry, I sanded the entire piece lightly with 220-grit paper to give it back its worn, distressed look and wiped it down with a damp cloth. 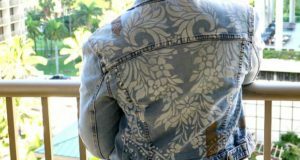 To give the piece a semi-Swedish look, I diluted some Old White Chalk Paint® about 50% with water and painted over only the area I had painted with Paris Gray. I allowed it to dry and then wiped on some Annie Sloan Clear Soft Wax with a clean rag over the entire frame. After removing the excess wax with another clean rag I waited a few minutes and buffed it all to a soft sheen. Voila! A simple yet elegant statement piece. 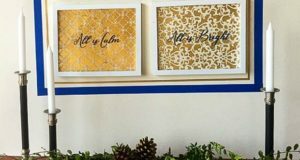 Completing the stenciled artwork and the Chalk Paint frame was easily done in an afternoon, with plenty of time to entertain the same evening to show it off! 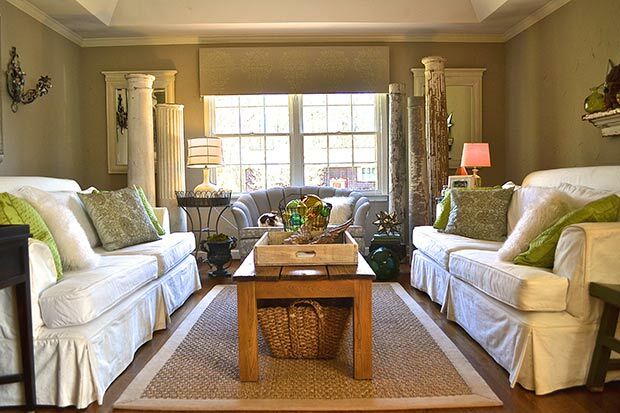 Do you like the neutrals or would you jazz your version up with more color? There are so many gorgeous colors of Chalk Paint® and Royal Design Studio Stencil Creme paint to do just that!